We are proud to announce a new film series that will occur every first and third Wednesday of the month at The Creative Center featuring documentary films and cult/international/independent/obscure films. 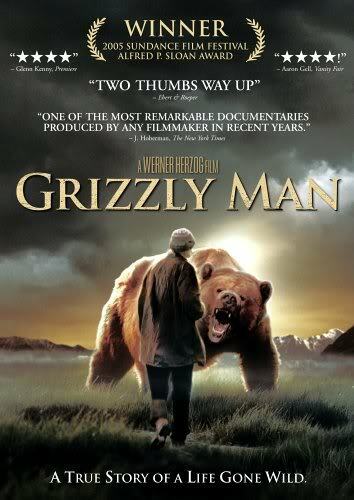 Our first offering on March 7, 2012 is Werner Herzog’s astonishing documentary, Grizzly Man. Meet and greet begins at 6:30 and film begins at 7 pm with educational discussion to follow. On March 21, we show another Herzog film, this time his fictional film Fitzcarraldo starring Klaus Kinski. All screenings are free, with donations accepted to benefit The Creative Center, located at 900 Sixteenth Street, Greensboro. I hope you will join me for a new series of fascinating films, and send me your suggestions. We also have a Meetup Group for cinema and film fans here – come join us! It’s free. Help support interesting film screenings in Greensboro! Our official page, where you can keep up with all the screenings, lives here. This entry was posted in film, film series and tagged creative center, criterion collection, cult, documentary, film, film series, international film, movie, obscure film. Bookmark the permalink.